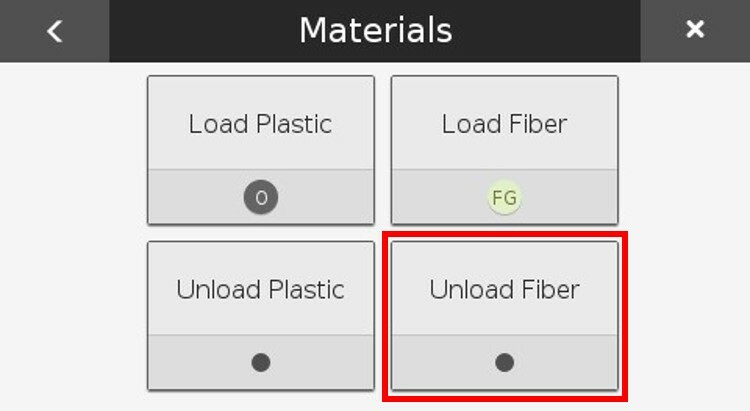 Before removing the fiber extruder, make sure to unload any fiber or plastic that is currently loaded into the printer. Clip the fiber just below the end of the Fiber Feed Tube. 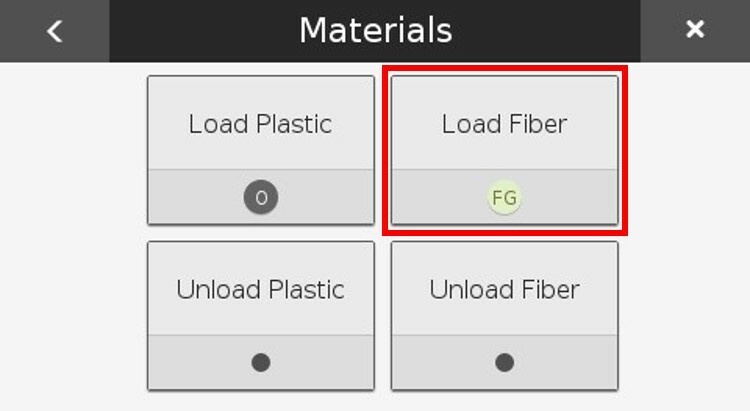 Grasp the cut end of fiber below the Fiber Feed Tube. Pull it free of the printer, and discard. 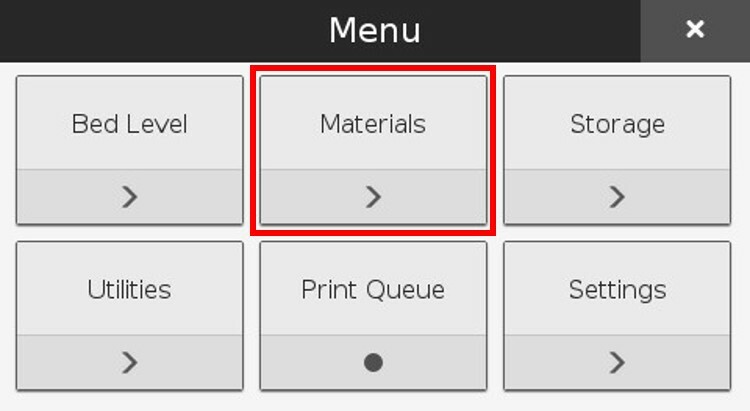 Press "Done" on the LCD screen of your printer. Note: Do NOT attempt to respool fiber from the printer back on to the fiber spool. This will result in damage to the fiber that will render it unusable in your printer. 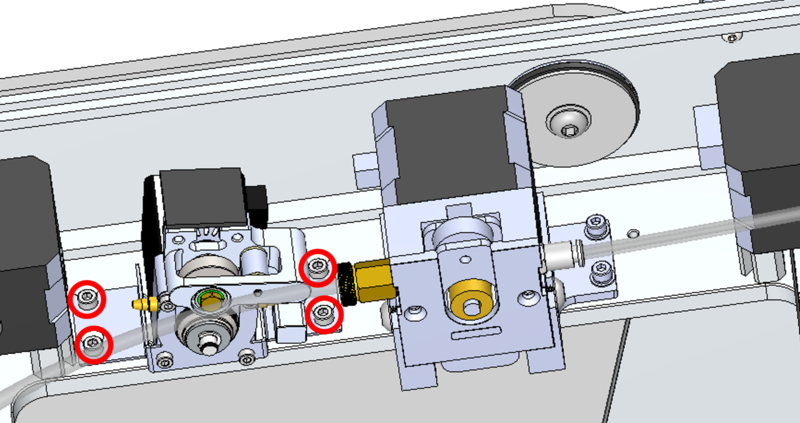 Remove the Fiber Entry Tube from the extruder. 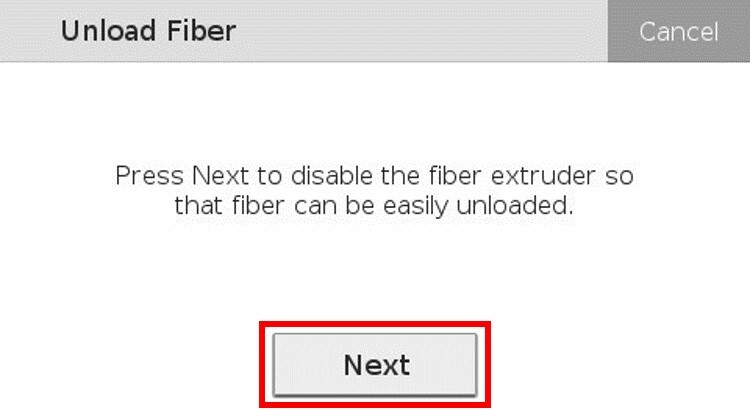 To reinstall the fiber extruder to the printer, please see the steps below.